MV Agusta’s business end is currently in a constant state of upheaval brought about by Mercedes’ entry into the company and investments made by two companies earlier this month. But that’s the Italian bike maker’s business side. The production and model development side is humming along quite nicely, as shown by the newBrutale 800 Dragster street fighter. 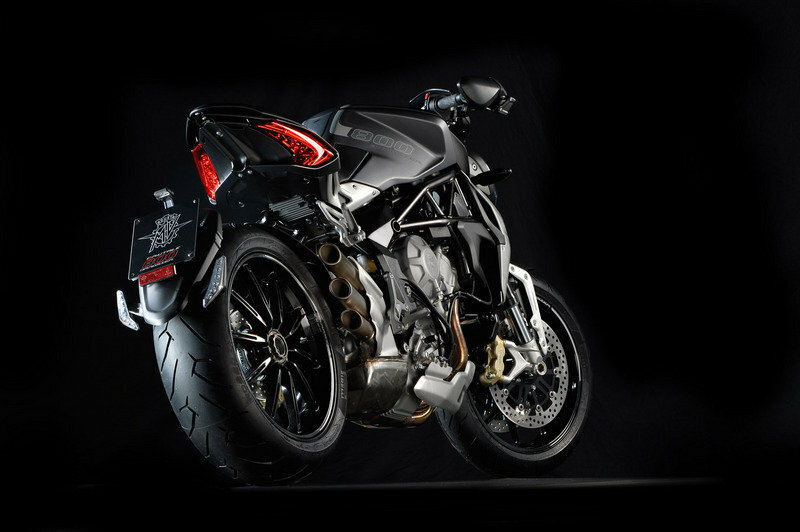 The Brutale 800 Dragster isn’t you ordinary MV Agusta. You can even make a case that it’s not an ordinary bike, period. What it is is a high-powered machine that embodies the ultimate goal of every MV Agusta customer in the world. See, reading about the Brutale 800 Dragster just doesn’t cut it anymore. At this point in time, you have to own one to fully appreciate the breathy and depth of what makes it such an incredible street fighter. From its drop-dead gorgeous looks to its muscle-flexing powertrain, the Brutale 800 Dragster is the kind of bike you’d want when you’re out and about in town or just spitting the wind from a nice joyride. 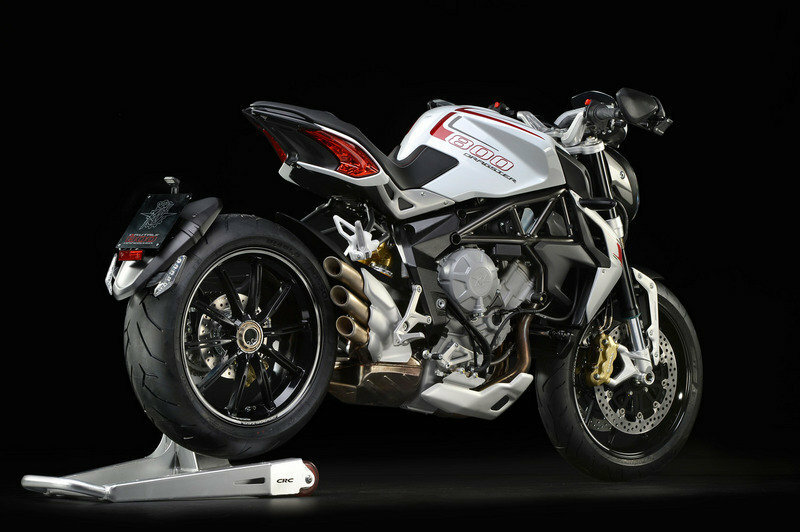 Click past the jump to read more about the MV Agusta Brutale 800 Dragster. The design of the Brutale Dragster 800 is the perfect example of a street fighter that lives up to its name. The aggressive design of the bike is highlighted by sharp edges and the dynamic use of components to create an almost naked machine that really justifies its performance credentials. 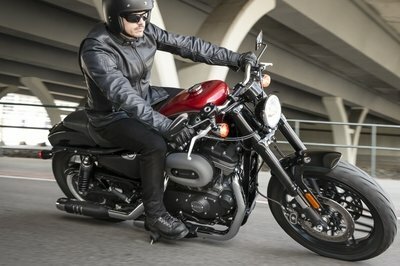 The front of the bike is dominated by a singular headlight that sets the tone for the machine’s look. 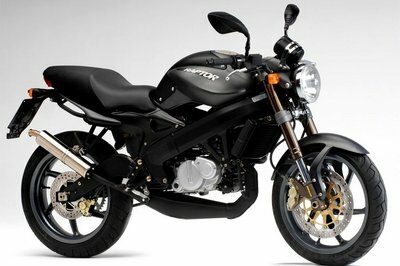 The front suspension is thick and black, evoking the look of a bike that means serious business. Move back a little bit and you’ll notice the dramatic curve of the fuel tank, extending all the way to the seat, which by the way was carefully crafted to make it look like it’s floating in the air. Notice also how the taillights have been integrated into the underside of the seat. That was partly done because of the absence of a rear fender where the bike’s taillights can normally be found. 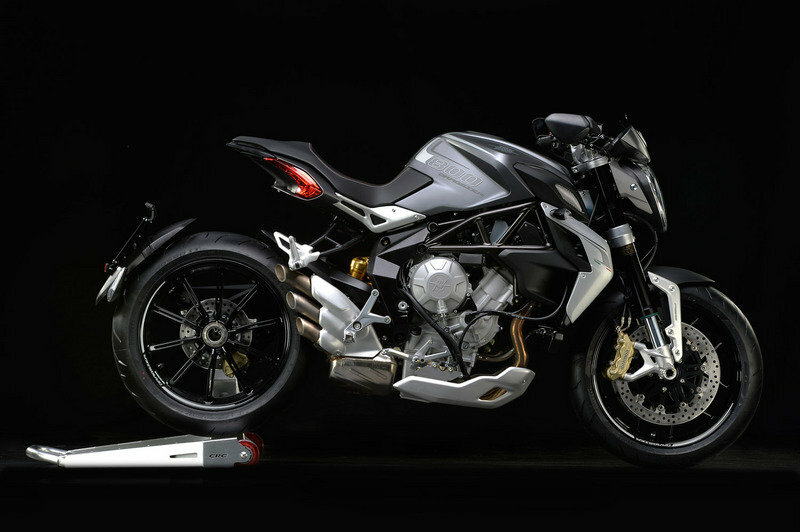 MV Agusta designed it like that on purpose, as if telling the world that it doesn’t need to bend to traditional architecture to showcase the Brutale Dragster 800’s unwavering penchant for destroying anything that comes its way. There are bikes that just flies in the face of convention with not a care in the world over what people think of them. The MV Agusta Brutale Dragster 800 fits right in as one of them. 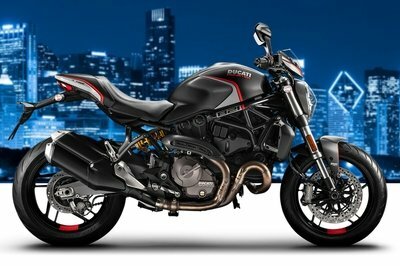 It’s that rebellious trait that makes this street fighter such an eye-catching bike. The frame configuration of the Brutal Dragster 800 is as complicated as it is functional for a street fighter of this caliber. In essence, the bike is made up of an ALS tubular steel load-bearing structure that’s complemented lightweight aluminum alloy wheels. If that sounds simple to you, that’s because it actually is. 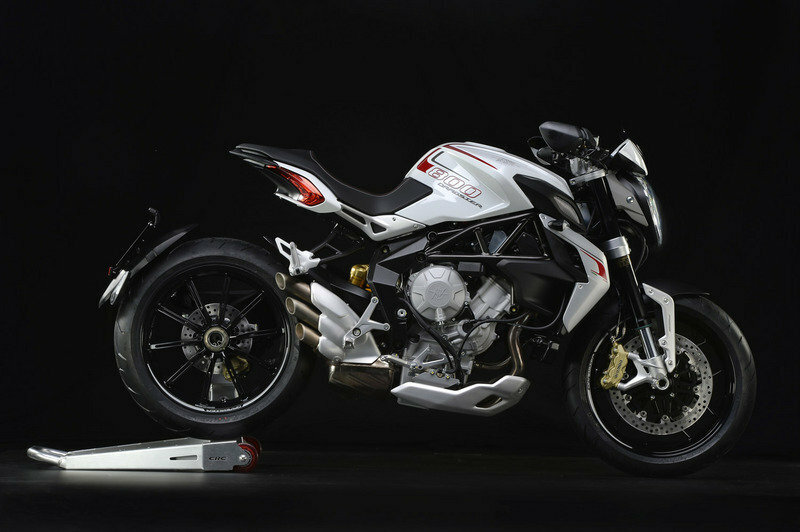 This is the base frame that MV Agusta uses for its lineup of Brutale models. The bike itself only measures 54.33 inches long, which isn’t really that long and yet is perfect for the bike’s overall handling and stability. The suspension of the bike is thick and functional, with fully adjustable units that can be personalized depending on a rider’s taste and preference. The front fork, which measures 1.7 inches provides as much as a 4.92 inches of travel, the same amount provided by the Sachs rear shock on the aluminum alloy single-sided swingers. In some ways, the Brutale Dragster 800 is an evolved bike from the famous MV Agusta F4. The front, tubular section of the structure has a lightweight steel alloy that provides outstanding torsional rigidity, specifically in certain areas of the bike that subjected to the most stress when the bike is running freely. The final pieces of the Brutal Dragster 800’s frame puzzle is the 7.8-inch wide Pirelli DIABLO Rosso II rear tire and the Brembo brake components that comes with a pair of 12.6-inch floating front discs equipped with 4-piston calipers in the front and a 8.67-inch steel disc with a two-piston caliper at the back. The MV Agusta Brutale Dragster 800 is powered by a 798 cc in-line, three-cylinder engine that pumps out an impressive 125 horsepower at 11,600 rpm and 60 pound-feet of torque at 8,600 rpm. 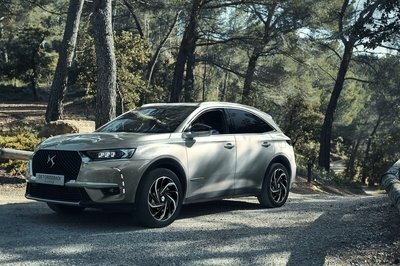 All that power is channeled through a cassette-style six-speed gearbox, thus allowing the street fighter to achieve a 0 to 60 mph time of about three seconds to go with an estimated top speed of around 153 mph. Max. power - r.p.m. (at the crankshaft) 92 kW (125 hp) at 11.600 r.p.m. Max. torque - r.p.m. 81 Nm (8.25 kgm) at 8.600 r.p.m. The MV Agusta Brutale Dragster 800 features the company’s new MVICS (Motor&Vehicle Integrated Control) injection-ignition system, considered as the very latest software and an engine control strategy first implemented, with great success, on the Rivale 800 and now extended to MV Agusta’s three-cylinder 2014 model range. The same MVICS platform also features the Eldor EM2.0 engine control unit and a Mikuni Full Ride-By-Wire throttle body. Fully integrated control allows, coursed through instrumentation and switchgears, can be easily adjusted to different settings and parameters. To be exact, the system works by allowing the rider to configure the torque setting with four different mappings, three of which are set directly by the manufacturer and named according to the relative riding conditions (Sport, Normal and Rain). The fourth setting is driver-focused that can be customized freely. As you can expect, 8-level traction control is also included, which riders can disengage if the mood fits them. 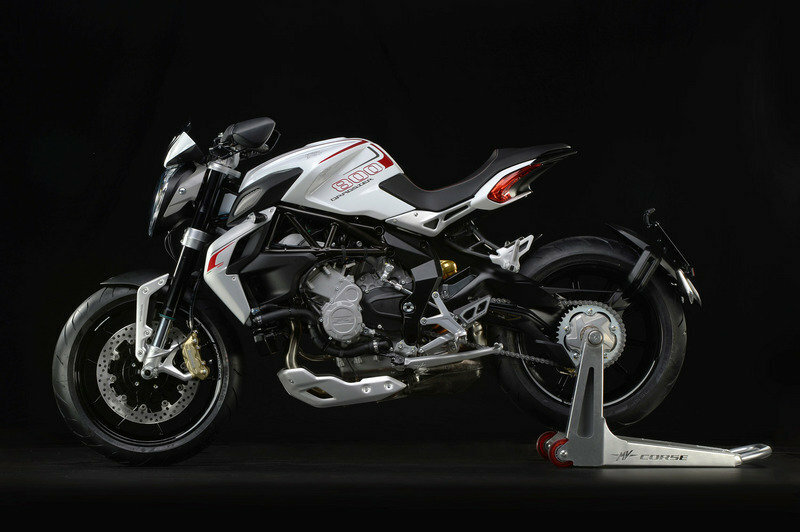 The MV Agusta Brutale Dragster 800 is available in two colors: White and Matt Metallic Grey. Each version retails for $14,798, which is a pretty sweet deal for a bike with the status and power of the Brutale Dragster 800.